The 1984 Summer Olympics, officially known as the Games of the XXIII Olympiad, was an international multi-sport event held in Los Angeles, California, United States in 1984. 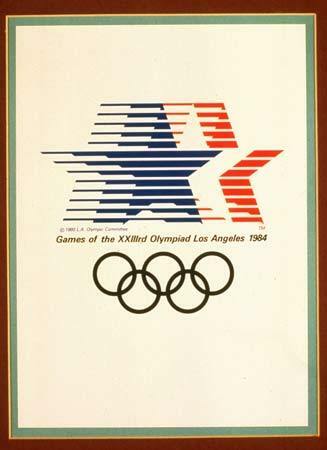 Los Angeles was selected as the host of the Games on May 18, 1978 on the 80th IOC session at Athens, Greece, without a vote, because it was the only city that submitted a bid to host the 1984 Summer Olympics. The only other interested city, Tehran, declined to bid. 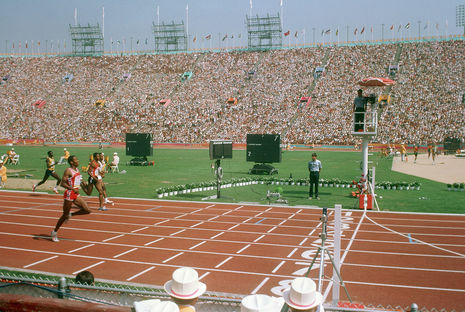 Many blamed this on the massive cost overruns of the 1976 Games, staged in Montreal. In response to the American-led boycott of the 1980 Summer Olympics in Moscow, 14 Eastern Bloc countries and allies including the Soviet Union, Cuba and East Germany (but not Romania) boycotted the Games. For differing reasons, Iran and Libya also boycotted. The USSR announced its intention not to participate on May 8, 1984, citing security concerns and "chauvinistic sentiments and an anti-Soviet hysteria being whipped up in the United States". The Los Angeles boycott influenced a large number of events that were normally dominated by the absent countries. 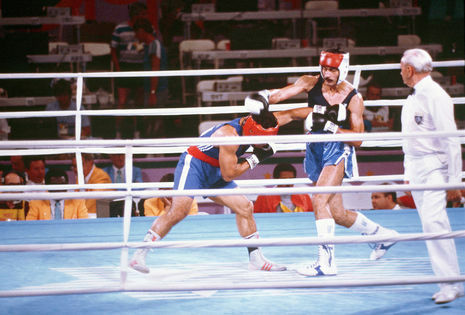 Boycotting countries organized a rival event in July-August 1984, called the Friendship Games. The 1984 Olympic Torch Relay began in New York City and ended in Los Angeles, traversing 33 states and the District of Columbia. Unlike later torch relays, the torch was continuously carried by runners on foot. The route covered more than 9,320 mi (15,000 km) and involved 3,616 runners, including 200 from the sponsoring company AT&T. Noted athlete and actor O. J. Simpson was among the runners, carrying the torch up the California Incline in Santa Monica. John Williams composed the theme for the Olympiad, "Olympic Fanfare and Theme." 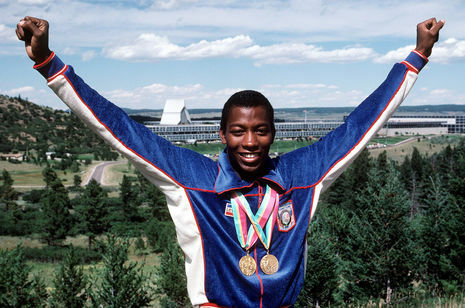 This piece won a Grammy for Williams and became one of the most well-known musical themes of the Olympic Games, along with Leo Arnaud's Bugler's Dream; the latter is sometimes attached to the beginning of Olympic Fanfare and Theme. The famous Brazilian composer Sergio Mendes also composed a special song for the 1984 Olympic Games, "Olympia," from his 1984 album Confetti. A choir of several hundred voices was assembled of singers in the region. All were volunteers from nearby churches, schools and universities. 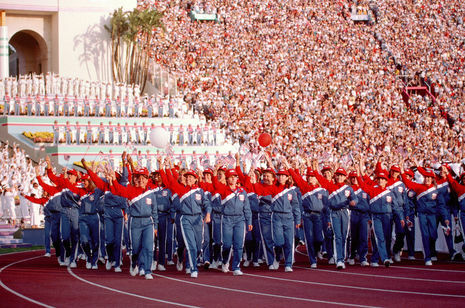 Athletes from 140 nations competed at the Los Angeles Games. 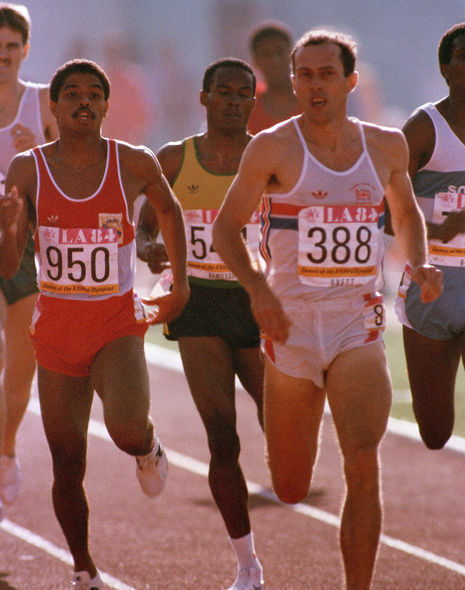 The following countries made their first Olympic appearance in 1984: Bahrain, Bangladesh, Bhutan, British Virgin Islands, Djibouti, Equatorial Guinea, Gambia, Grenada, Mauritania, Mauritius, North Yemen, Oman, Qatar, Rwanda, Samoa, Soloman Islands, Tonga, and the United Arab Emirates. The People's Republic of China made their first appearance in a Summer Olympics since 1952.